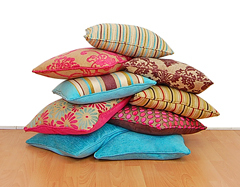 Vale Upholstery can offer a vast range of upholstery fabrics. We have over the past 33 years established good relationships with the highest quality fabric companies across the globe. We stock both traditional and modern upholstery fabrics in a fine selection of innovative textures and delicious colours, to satisfy the most demanding of tastes. See below a selection of upholstery companies we deal with daily. © 2013 Vale Upholstery Nottingham Ltd.